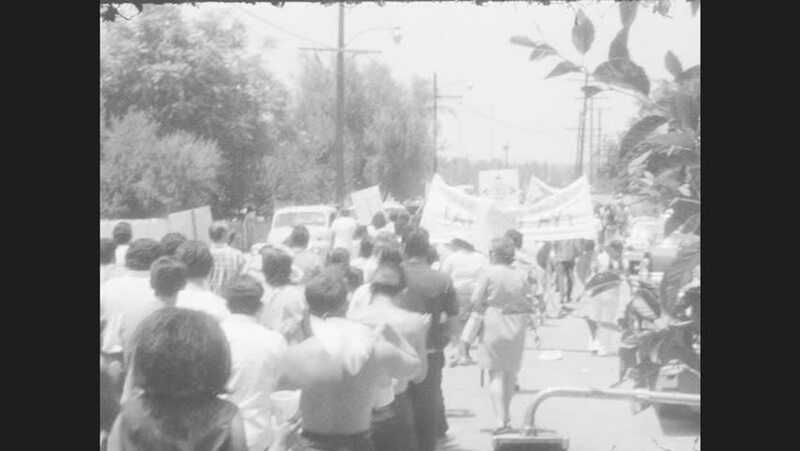 1970s: UNITED STATES: protesters march along street with banners. Girl holds paper in hand. hd00:50CIRCA 1918\xD1A group church officials perform a religious ceremony before a group of military officials on a grandstand in Northern Russia. 4k00:211920s: People stand around water fountain. Waterfall. Signage for Fairy Falls and Wahkeena Springs. Sign for Multnomah Falls. Girl pets donkey. hd00:231950s: Boys and girls sit at long table and discuss paperwork. Woman sits behind desk and talks to student. hd00:211950s: Woman at window makes food. Boat passes by. Older man watches. Boat continues. woman makes food. Water laps at edges of river. hd01:06CIRCA 1944 - The natural resources of Latin America and Central America and the manufacturing of them to make rubber, and airplanes. 4k00:24Cuba 1940s: People walk past chickens in cages. View of sign, tilt down to man talking to kids. hd00:211950s: People sit in audience, word New Delhi appears on screen. Prime Minister Nehru sits in audience.